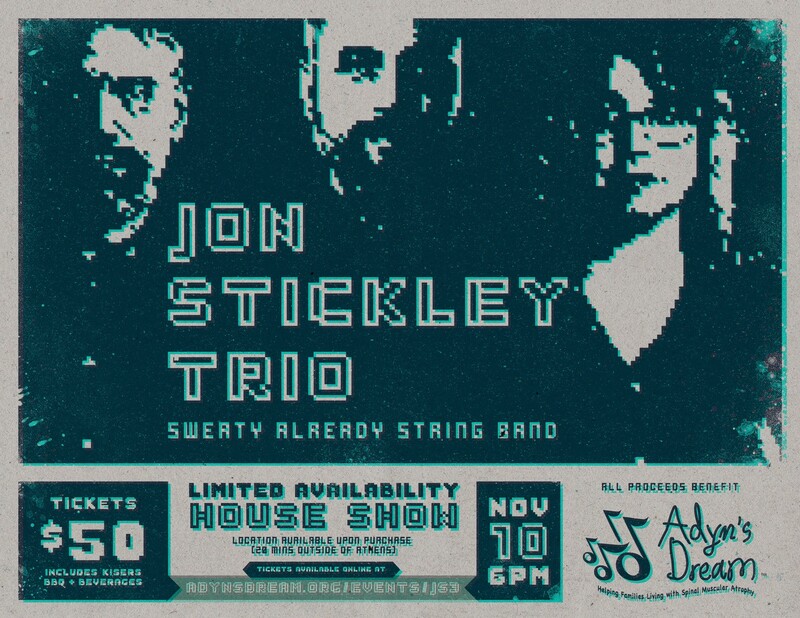 On Saturday, November 10, Adyn’s Dream, a regional non-profit dedicated to assisting families living with Spinal Muscular Atrophy through the power of music, will host a unique house show fundraiser featuring the genre-defying Jon Stickley Trio and Pittsburgh’s Sweaty Already String Band. There are only 50 tickets for this exclusive event. The purchase of each ticket includes dinner and drinks, which will be provided by Kiser’s Barbecue, The West End Ciderhouse, and Jackie O’s Brewery. There will be vegetarian options. The purchase of a ticket is also a donation to Adyn’s Dream, and in particular towards the organization’s second annual Secret Santa Giveaway and their work to sponsor a family living with SMA to attend the Cure SMA conference in Disneyland in June 2019. Tickets are available for purchase here. Listen to WOUB’s interview with Jon Stickley of the trio, embedded above.